According to a study published last summer by the AAA Foundation for Traffic Safety, aggressive driving, what some people call "road rage, is defined as: "An incident" in which an angry or impatient motorist or passenger intentionally injures or kills another motorist or pedestrian, in response to a traffic dispute, altercation, or grievance." The definition also includes incidents where "an angry or vengeful motorist drives his or her vehicle into a building or other structure or property." On average, at least 1,500 people are killed or injured annually as a result of highway violence. One of the three reports used for the foundation's study showed a steady increase in the number of incidents over recent years. 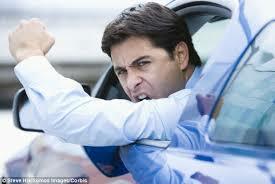 For instance, in 1990, there were 1,129 reported incidents of aggressive driving. The following year, this rose to 1,207 incidents, while in 1992, 1993, 1994, and 1995, the figures were 1,478, 1,555, 1,660, and 1,708, respectively. The company which compiled these figures, Louis Mizell, Inc. of Bethesda, Maryland, admits these totals, based upon police reports and news media stories, are just the tip of the iceberg. The vast majority of road rage attempts are never reported. These figures don't include other forms of highway crime such as violent car-jacking, drunk driving, random sniping, thrill shootings, highway armed robberies, hit-and-runs, and objects thrown from overpasses. It would be too easy to lump all aggressive drivers into that one description. The study also noted that "hundreds of aggressive drivers, motorists who have snapped and committed terrible violence, are successful men and women with no known histories of crime, violence, or drug and alcohol abuse." Minor fender-benders, such as the story above, often lead to acts of violence. In their report, Mizell & Company found each of the following reasons was involved in at least 25 reported acts of road rage. "It was an argument over a parking space..."
"She wouldn't let me pass." A driver was shot to death "because he hit my car." "Nobody gives ME the finger..."
A shooting occurred because one motorist was "playing his radio too loud." "The b-----d kept honking and honking his horn..."
"He/she was driving too slowly." "He wouldn't turn off his high beams." A driver was chased down and shot to death after fleeing the scene of a hit-and-run minor collision. A fatal crash occurred because another driver kept "braking and accelerating, braking, and speeding up." "She kept crossing the lanes without signaling, maybe I overreacted, but I taught her a lesson." "I never would have shot him if he hadn't rear-ended me." "Every time the light turned green, he just sat there. I sat through three green lights." A fatal dispute erupted over which car had right-of-way. A driver accused of murder said, "He couldn't care less about the rest of us, he just kept blocking traffic." A teenager charged with murdering a passenger in another vehicle said simply, "We was dissed (disrespected)." There are many other stated reasons for violent traffic disputes. In one case, a man was attacked because he couldn't turn off the antitheft alarm in his rented Jeep. 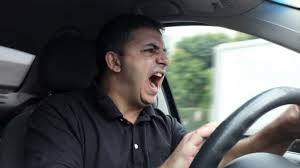 In many cases, according to the report, the reasons are simply triggers causing aggressive drivers to vent already pent-up anger. When they did, the two most popular weapons were firearms, used in 37 percent of the incidents, while the vehicle itself was used in 35 percent of the attacks. Other weapons include fists, feet, tire irons, jack handles, baseball bats, knives, hurled object (bottles, rocks, soda cans, and coins typically thrown at the offending vehicle). Let’s not leave out, defensive sprays such as Mace™. Albuquerque, like any metropolitan area with oft-crowded roadways, sees its share of road rage incidents. If someone cuts you off, tailgates you, or is otherwise rude, "The best response is to stay focused on your driving and ignore the other person's antics”. He said, "if, however, they continue to follow you and harass you, drive to a police station or look for a police officer, try to get his attention. If you aren't able to do either of those things, drive to an area where there are a lot of people, such as a parking lot, where you can get help. You can also call 911 if you have a cell phone. Under no circumstances, however, should you pull off the road hoping they'll just go by. It's much safer to stay mobile." If you're at fault, maybe aggravate another driver, Baxter advised, "A simple wave with an 'I'm sorry' to acknowledge you made a mistake is a good idea." "There are a lot of unstable people out on the road, you don't know who you're dealing with," he also said, "That person could have just killed someone. We've had it happen befor. That person could have a gun." 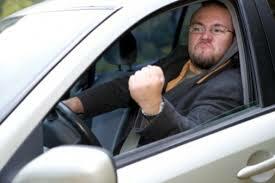 He added, “it's a fool's game to try to be macho, staring at the other driver, scowling to make a point. "Ask yourself if it's worth it to risk a confrontation." Information for this story was provided courtesy of the AAA Foundation for Traffic Safety.